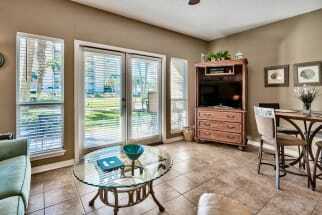 Welcome to vacation rental properties at Caribbean Dunes! This beautiful condominium complex consists of numerous luxurious properties! Emerald Coast by Owner is happy to offer you a variety of these condos, consisting of our typical features and benefits! When you stay here, you can enjoy the amazing views, the community pool or hot tub, the BBQ grills and so much more! The fun doesn't end when you step off Caribbean Dunes property however, there's so much more to do! Some people around here love to go paddle boarding, swim with dolphins, helicopter tours, diving charters, deep sea fishing, boat tours, rent a jet ski, moped or golf cart, windsurfing, play tennis or basketball and so much more! If you decide to eat out, there's an abundance of amazing seafood and traditional food spots around here. A few we recommend for you are Dewey Destin's Harborside Restaurant, Boshamps Seafood and Oyster House and the Fuji Seafood Buffet! Come have a meal and a great time at Caribbean Dunes, it'll be a trip to remember! Visit Emerald Coast by Owner today and we will help you find a great vacation rental in no time. We have some of the best rentals at Caribbean Dunes that you can find online, scroll down now to view them! Be sure to click on the "Email Owner" button found on each listing to send a property owner a message directly, they will get back to you and gladly assist you in the booking process.